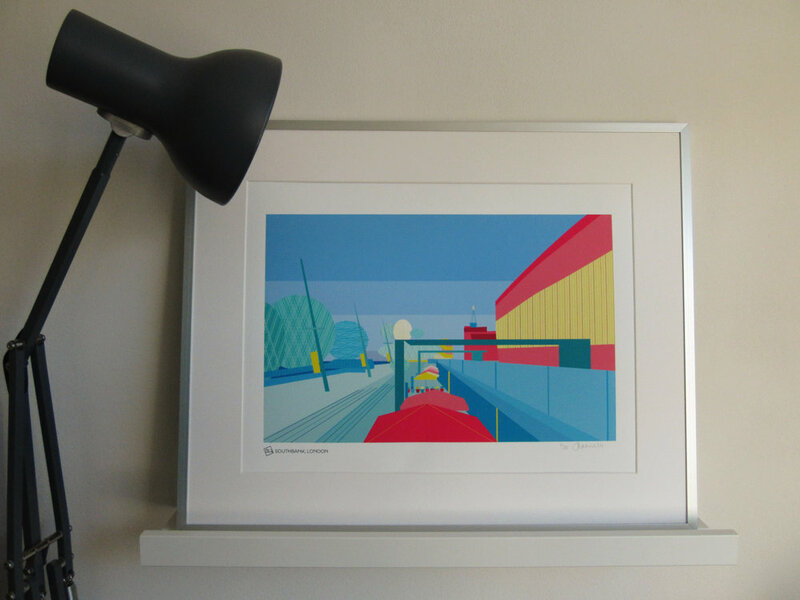 The latest print additions to my London cityscape collection are inspired by a 20-minute walk along the River Thames, from the Golden Jubilee Bridges to the Millennium Bridge. 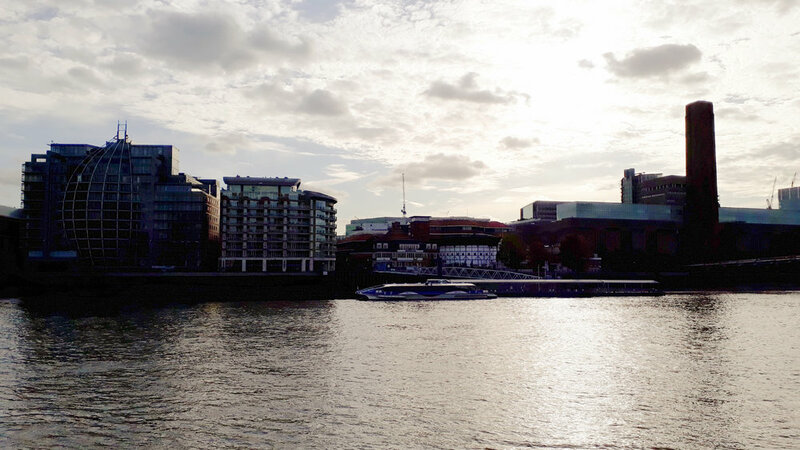 From the famous Southbank Centre architecture - the Royal Festival Hall, National Theatre and Queen Elizabeth Hall, to Gabriel's Wharf and the Oxo Tower with its indie shops, the stretch of promenade between the bridges has some of my favourite places and views of the London skyline. Whether you're watching the world pass by over a cocktail at Dandelyan in Sea Containers house, seeing the city laid out below you at Switch House, Tate Modern, or catching a performance at Shakespeare's Globe, the stretch surrounds you with architectural hit after hit. Cross the Millennium Bridge to the Northbank to see the incredible mix of old and new architecture on Bankside laid out in front of you. Lesser known - for the moment at least! 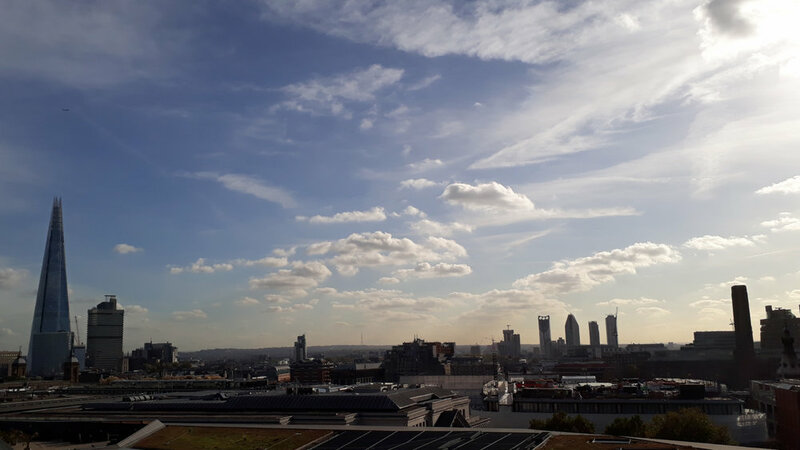 - is the public roof terrace on the top of One New Change, open 7 days a week. The top half of St Paul's looms in front of you, making you feel so close to the dome. The colours have a fresh, cool summery vibe to them. Think cool sorbets and ice-creams on a sunny day, inspired by Little Greene's rich pink colour, Leather, and Paint & Paper Library's Deep Water Green, a soothing mint. 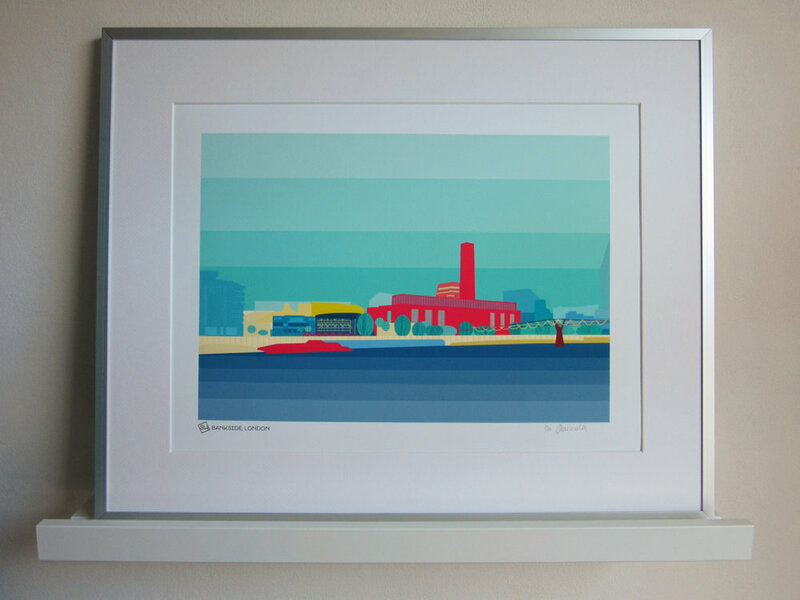 This art print drinks in the scene standing at the top of the steps leading down from the Golden Jubilee Bridge to the promenade below. Restaurants with their neat rows of distinctly coloured parasols protecting diners fall into line one after the other, separated by planters. Inspired by the view as seen from across the river on the north side of the Thames. Highlighted architecture includes the Tate Modern with Switch House, Globe Theatre and Millennium Bridge.